Roku 3 is quite popular among the world. It is the combination of on-demand media and easy access to my own extensive media library. If you’re movie fan, you may would like to playing AVI files for watching on Roku 3 via Media Player stay at home. However, there is a question. Can Roku 3 play AVI? The fact is that I can’t stream AVI to Roku 3 for playback. So, how can I prepare my AVI videos, so that I can play AVI on Roku 3 without hassle? Today, Let’s figured out the best way to solve the Roku 3 AVI Playback Problems. Officially, the Roku 3 only supports H.264 MKV and MP4/M4V video, meaning that’s the only media recognized over USB and Plex ‘Direct Play’. Chances are most of my old movies are AVI files. So you need to convert AVI videos for playback with Roku 3. Actually, it’s not as difficult as you imagine. Two converters are provided here. One is Handbrake. 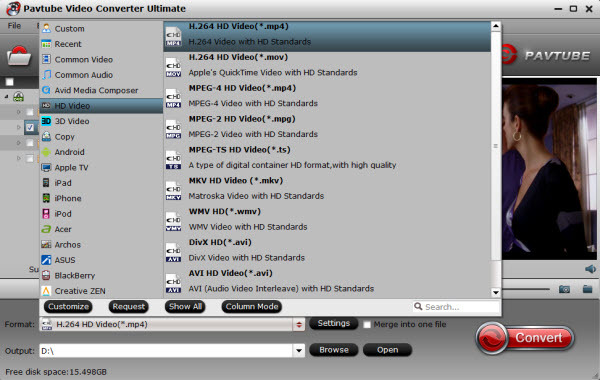 The other is Pavtube Video Conveter Ultimate. Handbrake can provide a nice solution to AVI Roku issue. You can easily convert AVI files to Roku compatible formats by Handbrake. However, AVI is a multimedia container format with many codec. Sometimes, Handbrake cannot support the codec in the AVI files or crashes when convert AVI files. In such cases, it will be better to choose a more reliable conversion tool – Pavtube AVI Video Conveter Ultimate for Roku 3. Read the Review. Is that all of its features? Of course Not! Highly acclaimed as Swiss Army Knife, this versatile Ultimate Converter for Roku 3 also functions as a strong performer for ripping Blu-ray, DVD and convert YouTube video to Roku 3 supported formats. Or get another DRM tool to convert iTunes movies to Roku 3 for playback. The software has a codec pack that enables conversion between different video and audio file formats, it can convert AVI, VOB, MOV, MKV, FLV, MPG, etc to Roku 3 supported file format such as mp4 with the best quality. Select output format Click “Format” and choose MP4 from “Common Video” as output format, which can be recognized by Roku 3easily. There are also some optional tinkering you can take to make the videos look better on a HDTV screen, such as changing the aspect ratio or specifying the video resolution. Just click the Settings icon to do it. Hit the “Convert” button at the bottom of the main interface to start the conversion. It will automatically convert AVI to Roku compatible video files. After the conversion is completed, transfer the converted videos to Roku’s SD card or to a USB stick that can be attached to Roku 3 streaming player. 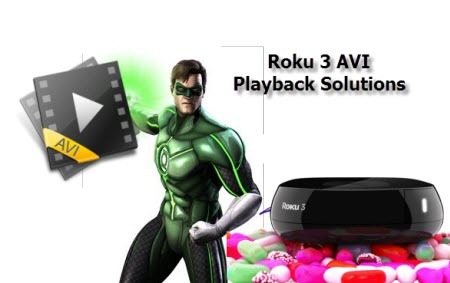 Now you can enjoy your AVI movies with Roku 3 at your will. Enjoy.